Forgive me as I bang on about sweatshirts again. 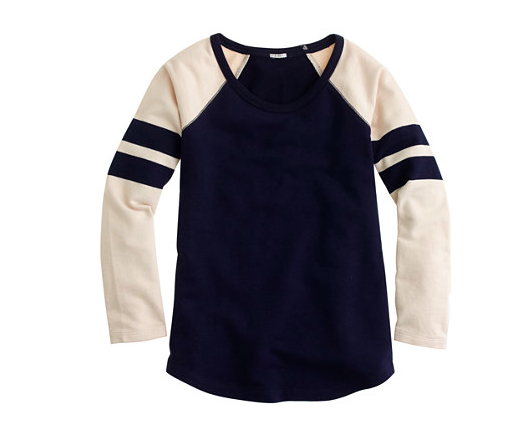 This sweatshirt from J.Crew is fabulously flattering with its scoop neckline compared to the usual crew neck which isn't all that great for those of us with a more generous bust. I love the curved hem. Perfect for pairing with skinny jeans. All my sweatshirts tend to be slouchy but this lovely design enhances your curves. Take your usual size (I bought a small) or go the next size up if you prefer a looser fit. Best of all, it's on sale for £39 (cheaper if you're lucky enough to live in the U.S) here.